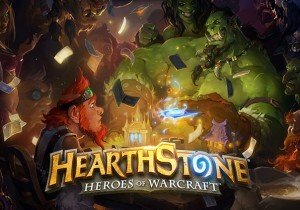 Today’s Hearthside Chat features Lead Mission Designer Dave Kosak and the Missions team, as they talk about “Monster Hunt”, which is a free, single-player mission, which is also repeatable. This is available in next week in Hearthstone‘s latest expansion, The Witchwood. In Monster Hunt, players pick one of four veteran Monster Hunters, each with their own unique Hero Power and treasures to collect. Venture into the Witchwood, and track down Hagatha the Witch. A host of monstrous bosses await players who journey deep into these woods, and with each victory, players build a stronger deck with the items they come across, including treasures exclusive to certain foes. Each Monster Hunter also carries a grudge against a heinous foe in the woods that must be defeated before moving on to Hagatha. Thursday, April 25th is the release of Monster Hunt at 10 am PDT.